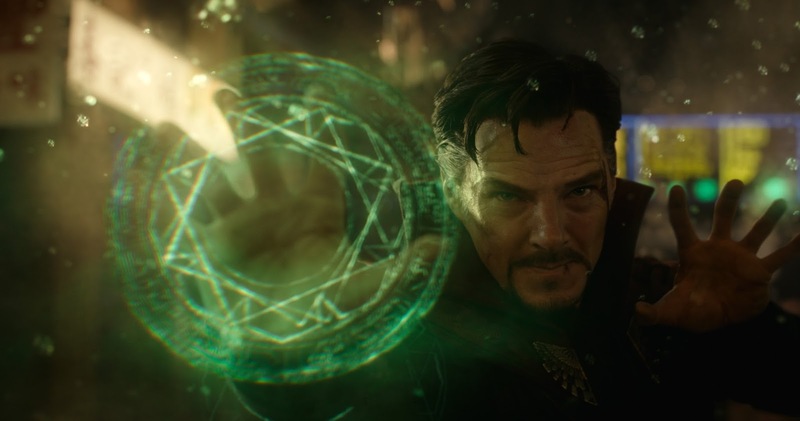 Marvel’s “Doctor Strange” is the shot in the arm the Marvel Cinematic Universe needed. It’s completely weird and out there and dare I say… strange. It’s not the most successful super hero origin story you’ll see (especially by Marvel’s strong standards) but it feels delightfully far removed from what we’ve seen before. It certainly borrows heavily from random cinematic experiences… references to “Inception,” "The Matrix," “Contact,” and even “Insidious” are not altogether coincidental. It’s certainly one of the weirder entries making the “Thor” films seem completely comprehensible by comparison. Marvel first took a risk bringing the lesser known “Guardians of the Galaxy” to the big screen with fantastic results. Director Scott Derrickson - who previously helmed horror films like “Sinister”- and his fellow writers (Jon Spaihts and C. Robert Cargill) work wonders with “Doctor Strange” making the completely far-fetched story feel somewhat realistic, coherent, and relevant. I’d argue it’s still somewhat “middle of the road Marvel” but certainly a welcome change of pace. The origin story in “Doctor Strange” isn’t exactly anything groundbreaking. Dr. Stephen Strange is a cocky, neurosurgeon who practically gets off on completing near-impossible medical procedures. A terrible accident leaves him unable to use his hands the way the used to and then becomes obsessed with finding a way to be 100% cured. It eventually leads him to the Ancient One in Nepal. She’s played by a bald Tilda Swinton. Sure she’s a white woman but she’s so strange looking she might as well be from another planet. The Ancient One teaches Strange how to harness energy from various dimensions and how to astral project, which leads to trippy scene after trippy scene of mind-bending kaleidoscopic visual effects where characters bend their surroundings and make portals to transport themselves anywhere they want on the planet. Once Strange learns his powers well enough he then gets to fight “the bad guy” played by TV's Hannibal himself Mads Mikkelsen. The strength of “Doctor Strange” is most definitely in its visual design. The production values are tremendous, obviously, but the visual effects are amazing even by Marvel’s high standards. Some of the impact has been lessened since we’ve seen a lot of this stuff in “Inception” but it’s still pretty fun and trippy. And a lot of the films more out there moments reminded me of last twenty minutes of “Contact” and to a lesser extent “2001: A Space Odyssey.” Cumberbatch is great as Strange and slips into the role seemingly effortlessly. Rachael McAdams joins the Marvel universe as his colleague Christine Palmer who is refreshingly not a love interest. The film also does point here and there to the previous films with mentions of the Avengers and Infinity Stones but on the whole this feels like a separate adventure from what we’ve previously been given. Trailer for Doctor Strange on TrailerAddict. 0806jejePar conséquent, gardez air jordan 11 concord femme à l'esprit qu'un logo New Balance 1400 Chaussures d'entreprise est une new balance homme en tunisie information qui sert de asics gel lyte v noir jaune rappel d'une marque particulière. air jordan nike homme pas cher Des spécialités existent également nike homme promo dans le domaine de nike air max thea noir et blanche l'ophtalmologie.